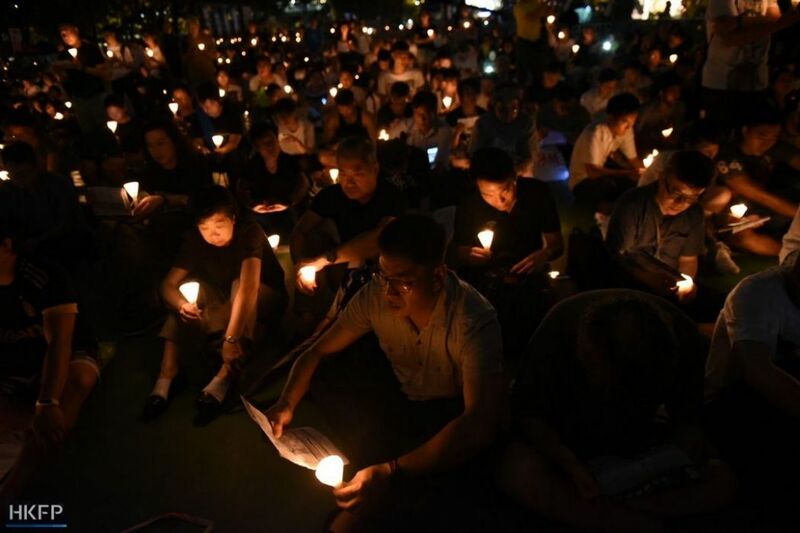 Crowds assembled in Hong Kong on Monday in memory of the victims of China’s Tiananmen Square crackdown but young activists are increasingly questioning the annual vigil’s relevance. 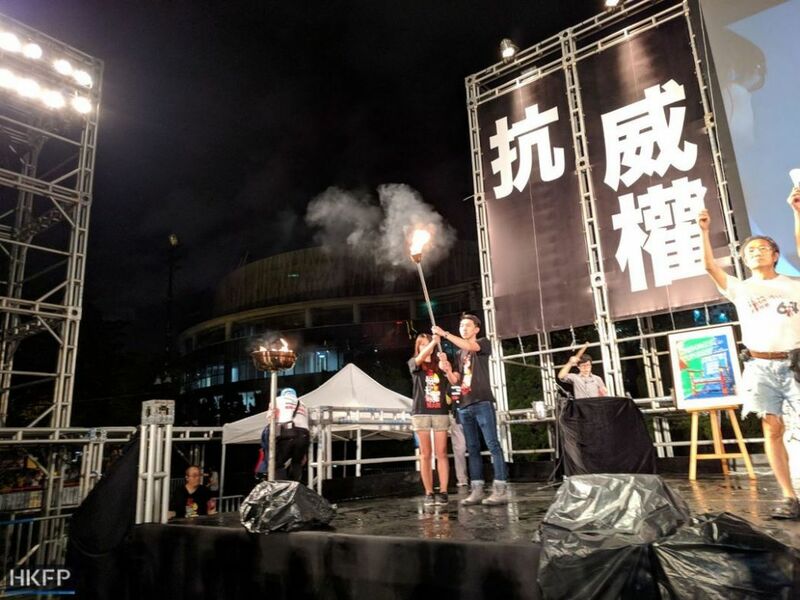 Semi-autonomous Hong Kong has seen tens of thousands gather at the candlelit vigil in Victoria Park since 1990, while any mention of Beijing’s brutal crackdown on students calling for democracy on June 4, 1989, remains strictly censored in the mainland. 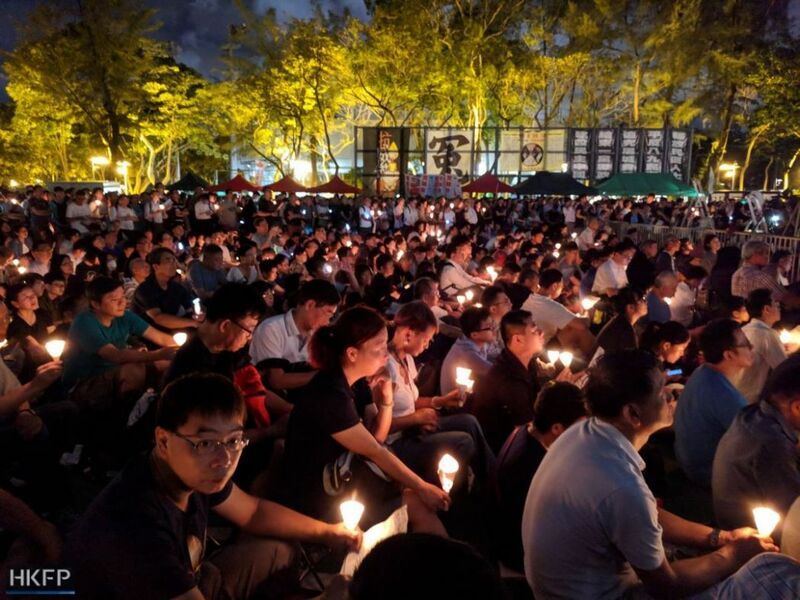 Those who streamed in to the park Monday held candles aloft and shouted “End one-party dictatorship!” as well as calling for the release of activists jailed in China. 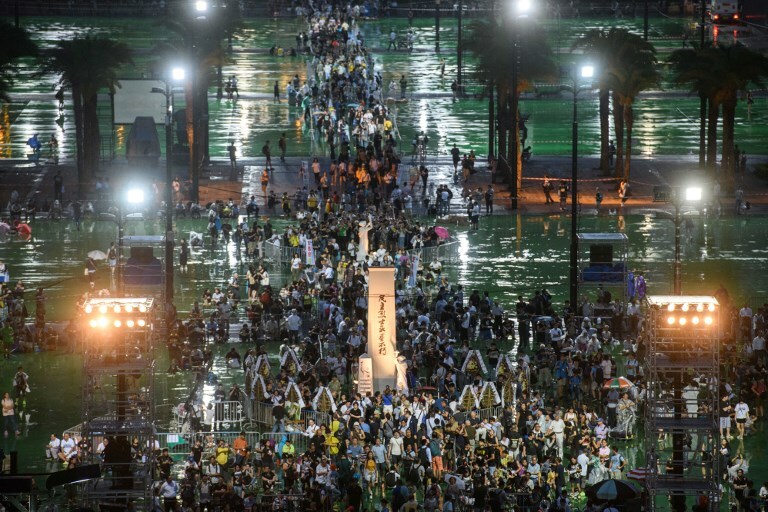 People arrive in Victoria Park ahead of a candlelight vigil in Hong Kong on June 4, 2018, to mark the 29th anniversary of the 1989 Tiananmen crackdown in Beijing. Photo: Anthony Wallace/AFP. However, since mass student-led Umbrella Movement rallies failed to win political reform for Hong Kong in 2014, more young activists and students have turned to “localism”, which focuses on local identity and autonomy and tends to reject any associations with China. “China’s progress for democracy is really slow, and rather hopeless. 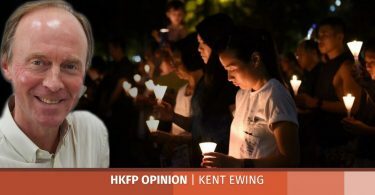 If (the democracy movements of China and Hong Kong) are interlinked, wouldn’t that in turn negate Hong Kong’s progress?” the president of the University of Hong Kong’s student union, Wong Ching-fung, told local media last week. A public opinion poll by the University of Hong Kong found that the proportion of people who think Hong Kongers have “a responsibility to instigate the development of democracy in China” has dropped from 58 percent to 56 percent this year. The proportion of those who believe Hong Kongers do not have a responsibility to do so has climbed steadily since 2014 to 31 percent this year. 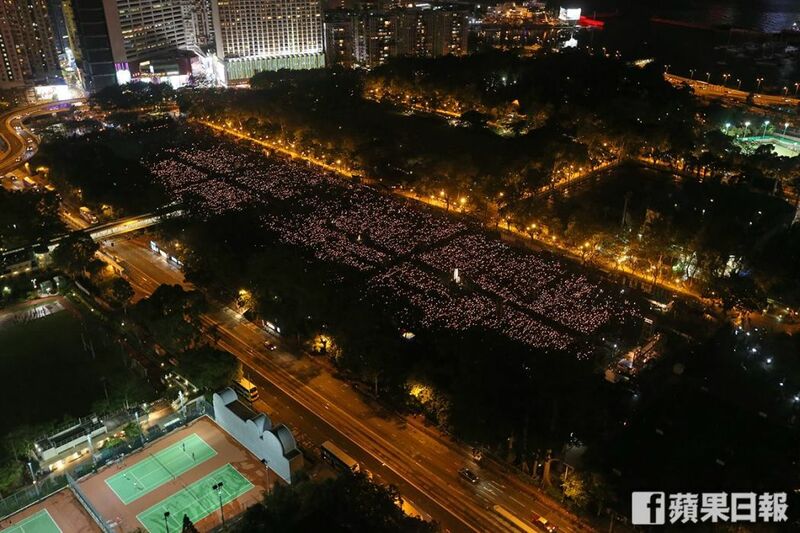 Although major crowds still turn up to the park — organisers put the figure at 115,000 Monday, slightly up on last year — small alternative events are popping up around the city and numbers are lower than in the past. 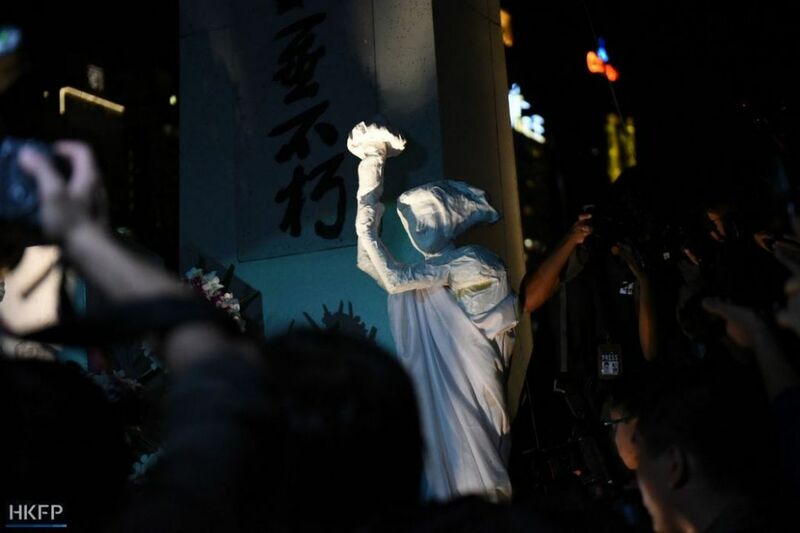 However, those who attended said they still felt a duty to pay tribute to the demonstrators who had died when Chinese authorities sent in tanks to crush a peaceful seven-week sit-in to demand democratic reforms. Hundreds — by some estimates more than a thousand — were killed. Leading Hong Kong democracy campaigner Joshua Wong, 21, said people should care about what happens in China because “China has been continuously suppressing Hong Kong”. 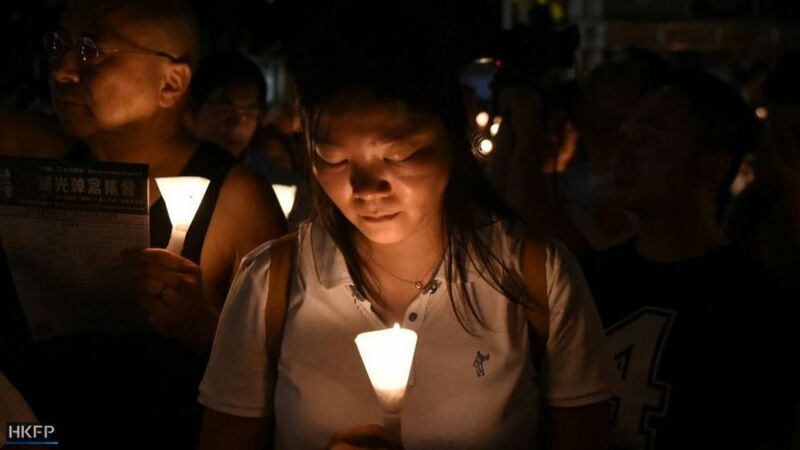 “June 4 is the best example to let the international community know the Chinese communist regime’s inhumane, brutal nature,” Wong told AFP. 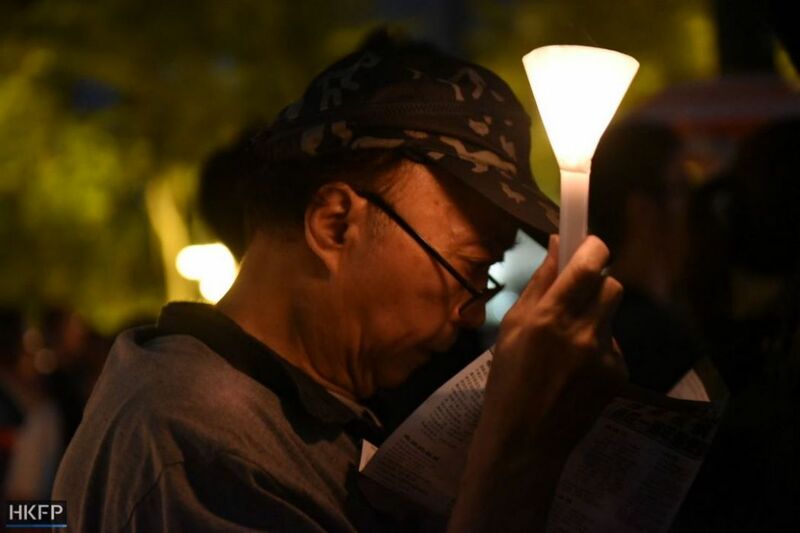 Office worker Vincent Chow, 25, said he felt the Hong Kong government no longer listened to citizens’ voices and wanted to make sure his was heard. “Young people now might feel too removed from the democracy movement and fight for freedom, so I hope to keep this spirit alive,” he told AFP. 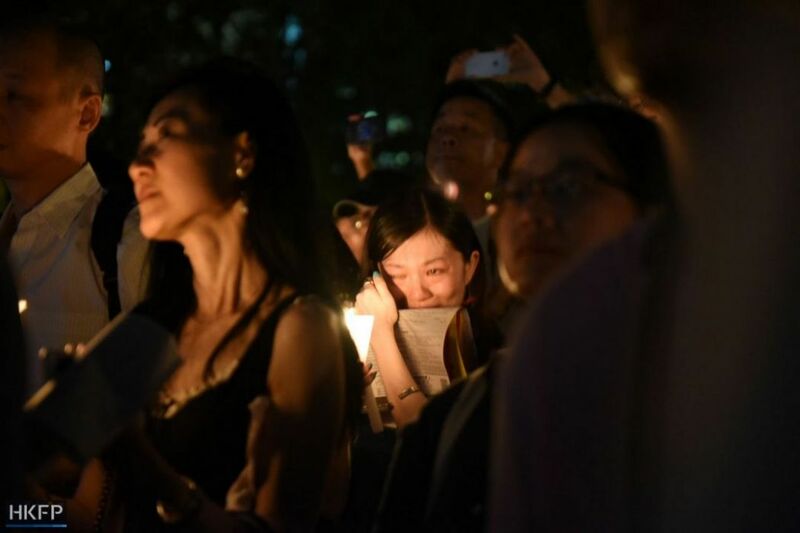 Retiree Sammy Au, 71, added he did not feel the vigil was about democratising China but was a tribute to the “selfless” acts of the students who died. “If I were the last person remaining, I would still come out,” he told AFP. 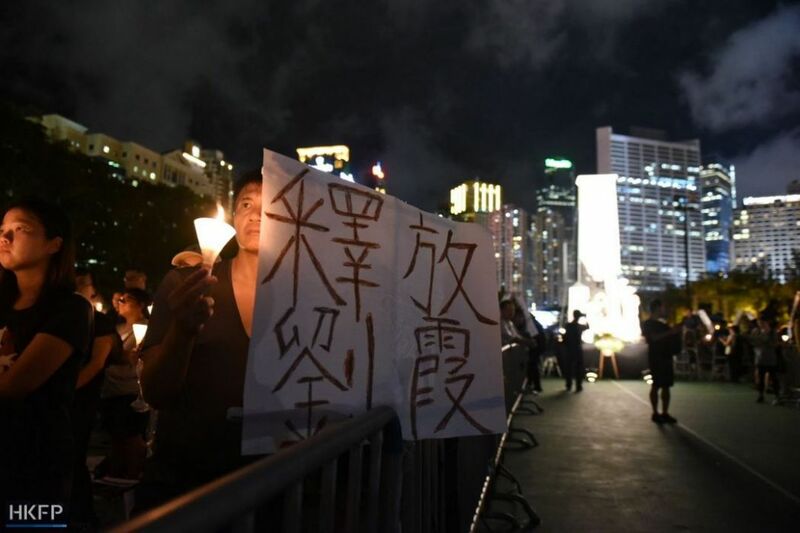 A placard reads”Free Liu Xia.” Photo: Catherine Lai/HKFP. 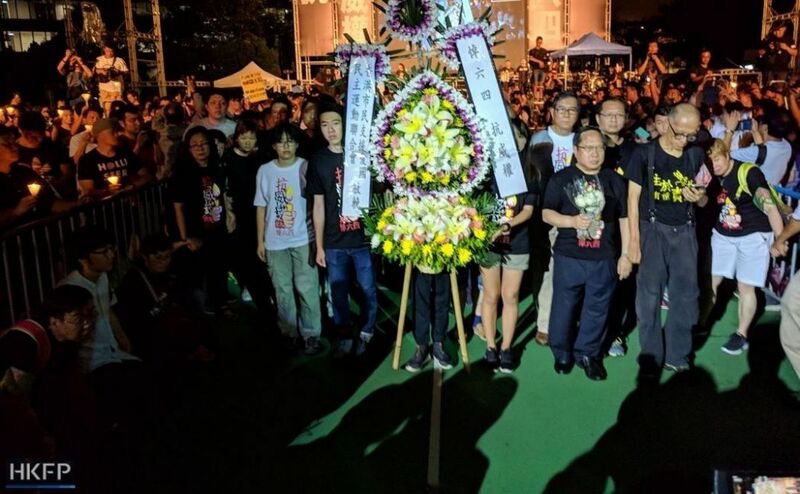 The vigil came as two pro-independence former lawmakers were given four-week jail sentences Monday for participating in a fracas in the legislature in 2016. 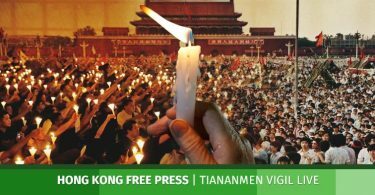 A number of activists have been prosecuted on protest-related charges since the 2014 rallies as concerns grow that Hong Kong’s freedoms are under threat from Beijing.